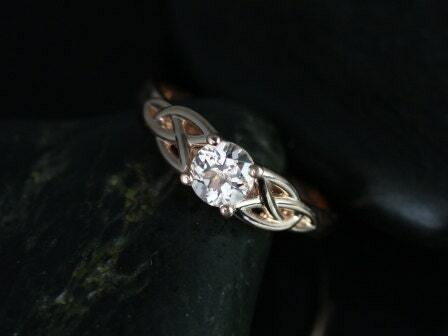 This engagement ring is a Celtic knot inspired design. It is simple yet unique. 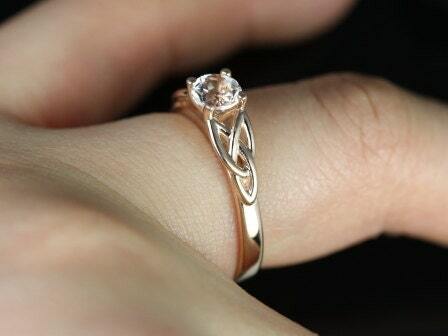 This ring is designed so that the wedding band will sit flush with the engagement ring. 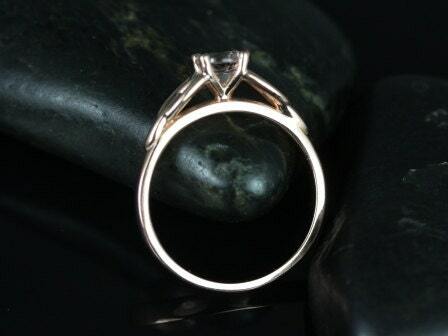 Metal Available: 14kt rose gold (as shown), 14kt/18kt yellow gold, 14kt/14kt/18kt white gold, 14kt rose gold, and platinum. 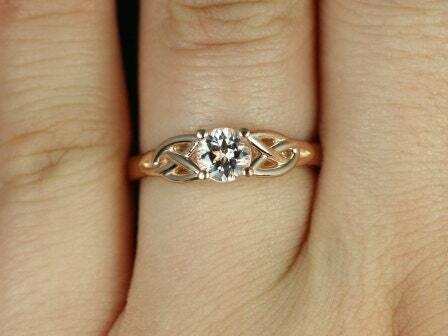 My fiancée and I ordered a matching pair of these for our engagement and had them engraved. 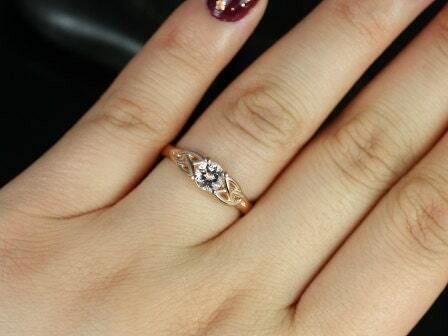 I am sensitive to nickel, so I chose yellow gold, and my fiancée chose rose gold. 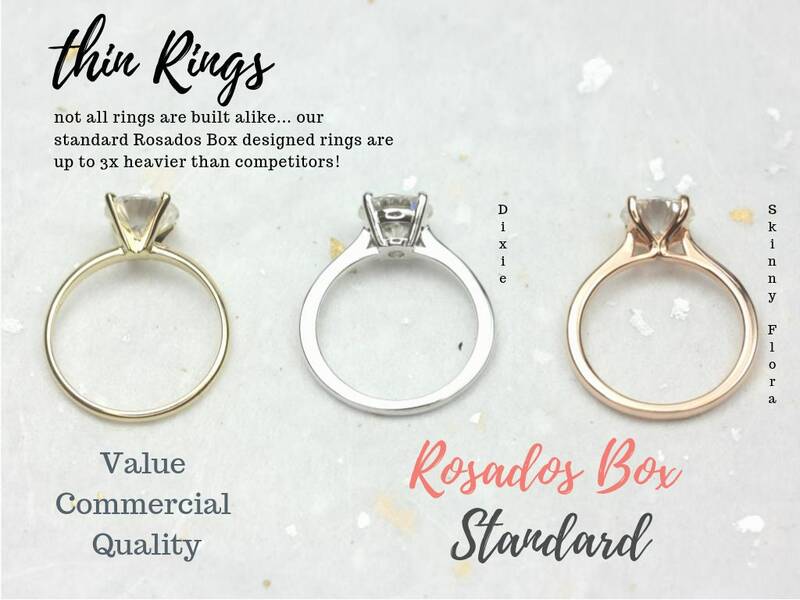 The ladies at Rosados Box were wonderful, replied promptly to all our questions, and to our delight, delivered the rings to us side-by-side in the same box! That was a lovely, special touch. 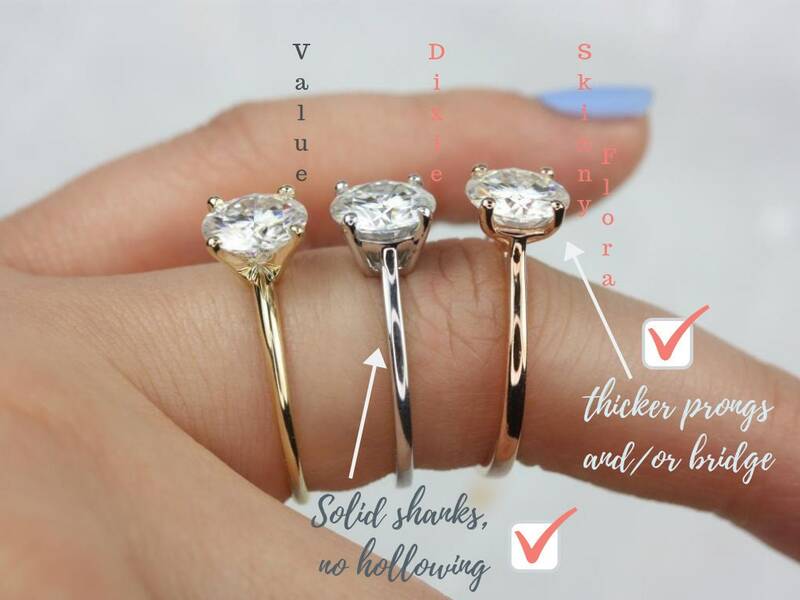 The rings are beautiful and we get compliments all the time.